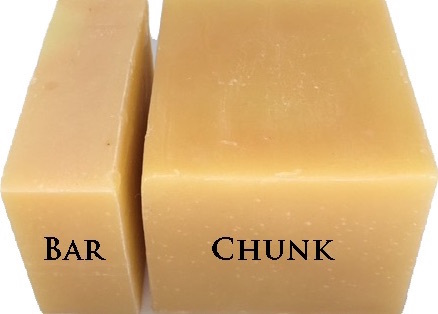 Our natural dog shampoo Bar is handmade with olive, coconut, palm and castor oils (our base human recipe), as well as about 20% lard, which contributes terrific coat conditioning to the bar, leaving your dirty dog's coat silky and shining. 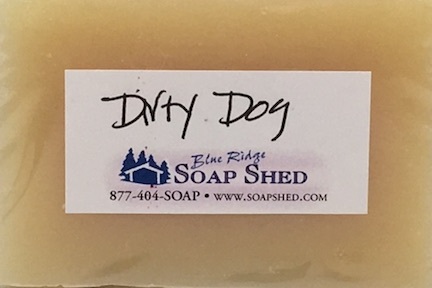 We lightly scent our Dirty Dawg Shampoo Bar with Peppermint, Lemongrass and Tea Tree essential oils to discourage any skin or winged creatures from visiting too long in the fur. There are NO artificial or synthetic ingredients in this soap. And because there are no artificial latherers like we are all used to in shampoos, *YOU* are the one who needs to provide the elbow grease. Work up the lather in your Hands for 15 seconds before applying to a VERY WET DOG, and this soap will lather like nobody's business. Best of all, it rinses out quite easily even when used on very thick dog coats. 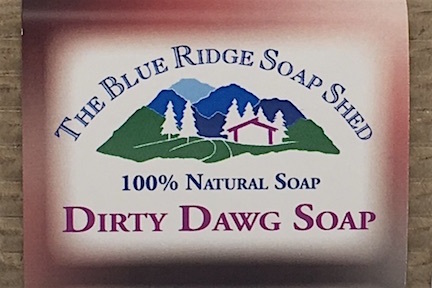 Be sure to take a look at our customers' testimonials about using our natural dog shampoo soap that we call 'Dirty Dawg'. Olive, Coconut, Palm and Castor Oils, Lard, Sodium Hydroxide or Lye, Mountain Spring Water, Peppermint Essential Oil, Lemongrass Essential Oil, Tea Tree Essential Oil.